Our Downtown New Orleans Museums Itinerary is the perfect way to get started with three of New Orleans’ top museums, conveniently located within walking distance of one another. From nationally recognized museums to niche museums, galleries, and antiques shops, New Orleans has it all! Anyone can find something to interest them in one of our many museums, but there are a few that stand out as must-see attractions for nearly every New Orleans visitor. While these museums attract visitors all year long, one of the best times to visit is in August. New Orleans Museum Month takes place every August in our city, and there are so many exciting opportunities that await both guests and residents of New Orleans. Museums of various sizes and specialities throughout the city join forces to offer free entry to any participating museum during the month of August—as long as you are a member of one of the museums. It’s an excellent way to get out of the heat and enjoy a wide range of art on a budget. Museums located in downtown New Orleans and the French Quarter frequently participate, making it easy to see several museums in a single day. Whether you’re here in August or not, take this opportunity to use our Downtown New Orleans Museums Itinerary to see all the historic, cultural, and artistic pieces these museums have to offer. You never know when the heat or rain will derail your plans in New Orleans, and our museums make for great indoor activities. And if you are here in August, you can take advantage of a great deal on all the participating museums. Not a member of a local museum yet? No big deal! You can browse our list of museums participating in New Orleans Museum Month and see our recommendations for which one to join today. If you’re visiting for just a few days or you’d like to know which New Orleans museums you absolutely must see, then you’re in luck. La Galerie Hotel has created a Downtown New Orleans Museums Itinerary below featuring three of our favorite museums, all within walking distance of one another. Since La Galerie is located right by the French Quarter, it’s easy to see these amazing downtown New Orleans museums throughout your stay or in a single day. World War II was an international affair—hence the name—but The National WWII Museum aims to share the American WWII experience. Formerly known as The National D-Day Museum, this is one of the downtown New Orleans museums you just can’t miss, as it’s a huge facility that spans several buildings. Tickets range in price from $18 to $28 (there are discounts for senior citizens, members of the military, college students, and children in K–12th grade, while children under five are allowed in for free), but remember, entry is free for members of participating museums during New Orleans Museum Month. Road to Berlin: Discusses the Allies’ journey to defeat the Axis powers and ultimately reign victorious in Berlin. Road to Tokyo: Outlines the events and aftermath of Pearl Harbor to Tokyo Bay. The D-Day Invasion of Normandy: Illustrates how the Allies faced Normandy, France on June 6, 1944. To get even more out of your time at The National WWII Museum, there are special experiences you can check out for additional fees. The Beyond All Boundaries 4-D movie is an interactive experience in the museum’s world-class theater (cost is $7, or free for WWII veterans), and Final Mission: USS Tang Submarine Experience is an interactive game that puts you in a WWII submarine (cost is $7, or free for WWII veterans). Don’t forget to check out the WWII planes hanging from the ceiling! This is truly one of New Orleans’ museums you could spend the whole day exploring. It’s great to start off the day with The National WWII Museum when planning your downtown New Orleans museums itinerary. You might even find there is so much to do here that you’ll have to go to the rest of the museums later. The biggest history buffs may even want to opt for a Second-Day Pass, which offers visitors a reduced ticket price ($7.00) for their second day at the museum. If you get hungry, you can eat at The National WWII Museum as well. Enjoy lunch or dinner at The American Sector, or grab breakfast, soda, or a cool treat at the 1940s-inspired Jeri Nims Soda Shop. The Ogden Museum houses the largest collection of American Southern art in the world. Every artifact and piece of art in the museum examines some part of the history of the South, from the musical traditions to the literature, food, and more. The Odgen Museum hosts exhibitions, lectures, film screenings, and concerts (among other special events) throughout the year, making it a great place for a variety of activities. Tickets range from $6.75 to $13.50 (there are discounts for senior citizens, children ages five to 17, students, teachers, and service members, while children under five and several other visitor types can enter for free), and of course, admission is free for members of participating museums during New Orleans Museum Month. Current Exhibitions: Showcases various Southern art exhibitions available for a limited time. The Center for Southern Craft and Design Artist Spotlight Series: Displays glassworks, metalworks, woodworks, textiles, ceramics, and jewelry from leaders in the field of Southern crafts on a quarterly basis. For whoever is lucky enough to be in town for New Orleans Museum Month, we highly recommend some of the special events and exhibitions offered by the Ogden Museum this August. A Precise Vision: The Architectural Archival Watercolors of Jim Blanchard Celebrating the New Orleans Tricentennial is on display until August 19, while Salazar: Portraits of Influence in Spanish New Orleans, 1785–1802 Celebrating the New Orleans Tricentennial and Doris Ulmann: From the Highlands to the Lowlands are on display until September. In addition, artist Jim Blanchard is stopping by to answer questions about his work, and there will be a 15th Anniversary Celebration for the museum at the end of the month. The Contemporary Arts Center of New Orleans (CAC) describes itself as “a cultural leader” for our region. It specializes contemporary art and promotes multidisciplinary works from a diverse range of artists. At the CAC, visitors are presented with exhibitions, performances, and programs for all ages. The featured artists include everyone from New Orleans natives to artists from around the world. Tickets range from $8 to $10 (there are discounts for college students and senior citizens, while children and students through 12th grade can enter for free), and as a participant in this year’s New Orleans Museum Month, admission is offered free in August for members of participating museums. Starting August 4th, the Contemporary Art Center’s annual open call exhibition will begin. This year, the title of the exhibition is Constructing the Break, and it features artwork from 29 regional artists. The exhibit, starting right as New Orleans Museum Month begins and remaining on display until October, centers around the Mississippi River and how the land it passes through has been shaped and changed over time. The exhibition features work from photographers, videographers, sculptors, painters, and more. Check out this exciting exhibition while you can. These top three downtown New Orleans museums are all located closely together in the same neighborhood, and they’re all only a mile or so from La Galerie Hotel. You and your family or friends can easily visit all three in the same day or spread your visits out over the course of your stay in New Orleans (or over a few weekends if you’re a local). Each of these museums has so much to offer, and they have exhibitions and activities that appeal to the whole family. These visits can be as short or as long as you and your travel companions like, especially if you’re taking advantage of the free admission from New Orleans Museum Month. View just one exhibition that piques your interest and move onto the next activity, or linger awhile and get the full experience of an entire collection. If you do decide to see all three of these downtown New Orleans museums at once, it’s easy to make a day of it. We recommend getting breakfast and lunch at The National WWII Museum, and when you’re ready for dinner, the Contemporary Arts Center is right down the street from several renowned restaurants, such as Pêche, Emeril’s New Orleans, and more. After a long day of touring museums, these fine dining restaurants are perfect destinations to sit back, relax, and refuel while discussing your favorite pieces of art from the day. After taking in so much culture, art, and history at our museums, it just makes sense to end your day with another kind of art: a great New Orleans meal. New Orleans Museum Month is only in its fifth year, and the list of partners continues to grow. There are currently 14 participating museums for 2018. If you’re in New Orleans this August, consider purchasing a membership to one of these museums and visiting as many as you have time for. Looking to become a member for New Orleans Museum Month? Starting at just $50.00, membership to The National WWII Museum is an excellent value for anyone who visits New Orleans several times a year. With so much to explore, you could visit again and again and still find more to experience. Of course, if you’re only here this August, we recommend going with one of the least expensive memberships. Most memberships cost around $50, but the Ashe Cultural Arts Center offers memberships as low as $25, and Longue Vue House and Gardens offers memberships as low as $35. These New Orleans museums touch on so many different aspects of the city. Some of the museums on the list focus on different times in history, such as The National WWII Museum and Beauregard-Keyes house. There are some great pieces of art in many of these museums from all different time periods—from centuries ago in The New Orleans Museum of Art to more modern works at the Newcomb Art Museum. There are also New Orleans museums that delve into the city’s cultural roots, such as the New Orleans Jazz Museum and the Longue Vue House and Gardens. With this extensive list, you can make a New Orleans museums itinerary to keep you quite busy throughout the month of August. Not to mention that with all these different museums to choose from, you’ve got to find something that will please everyone in your crew. Looking for even more art in New Orleans? Browse our Top 10 Royal Street Art Galleries to find unique art on one of the most popular streets in the French Quarter. With museums all over New Orleans, figuring out transportation for a New Orleans museums itinerary could be challenging for a visitor. Fortunately, our suggested guide features three top museums within a few blocks of one another. In addition, these museums are all about a mile or less from La Galerie Hotel, making it easy for our customers to get there and back. Even better, in New Orleans there is a fun local alternative to walking, which is taking the streetcar. It’s easiest to take the streetcar from La Galerie Hotel to the first museum, and then walk from museum to museum. For more information on riding the New Orleans streetcar, check out our streetcar guide. As for transportation to any other New Orleans museums, there are several different options. First, New Orleans has public buses that can take you from downtown New Orleans to uptown New Orleans (and surrounding neighborhoods) throughout the day. Tickets are available for purchase on the buses, or you can purchase everything online on the Regional Transit Authority’s website. If you buy a one-day pass for $3, you can use it on all of the city’s buses and streetcars for 24 hours. In addition, New Orleans has fantastic ride share service drivers. Try taking an Uber or Lyft if you have a smartphone and can download the apps. If you can’t access these apps, you can opt to take a taxi from one of the many services available in New Orleans. Finally, if you can bear the heat, you can try biking. Recently, Blue Bikes’ bicycles have been popping up around New Orleans. Blue Bikes is a bike share company that allows visitors and residents to rent bikes and return them to various locations around the city. It’s affordable and easy to use. Blue Bikes has an app for smartphones that helps you pay, reserve a bike, and find a spot to return it. With so many options to choose from, there is always a transportation option that will work for you while you journey from one museum to the next. Although all the participating museums in New Orleans’ Museum Month (including our top three) are open year round, why not take advantage of New Orleans Museum Month’s deals and book your stay for this August at La Galerie Hotel? 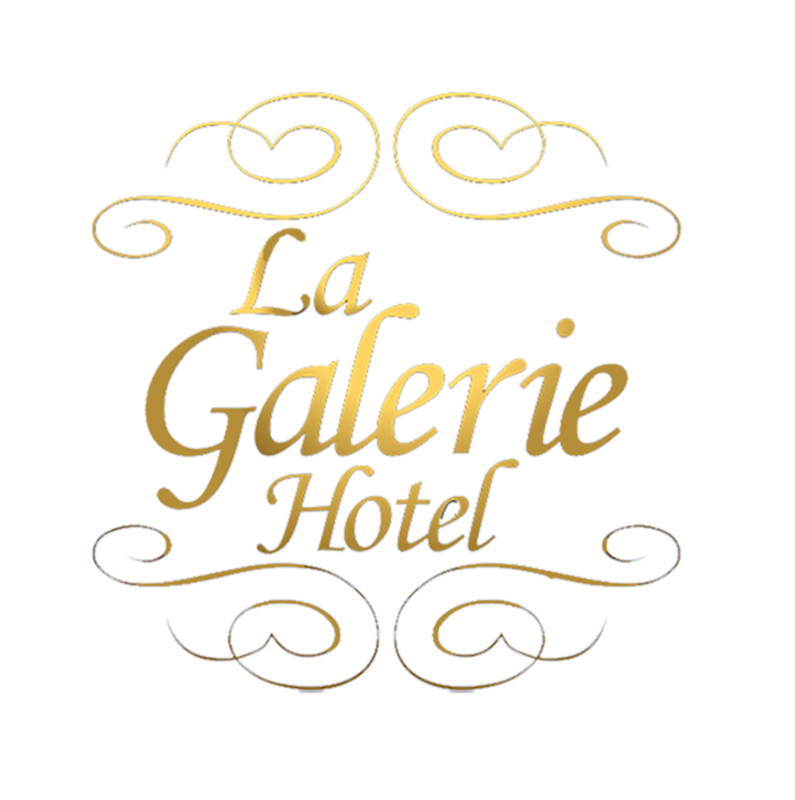 La Galerie Hotel offers a variety of different rooms and suites to accommodate a weekend getaway with your partner, family weekend trip, or group of friends! La Galerie Hotel is pet friendly and has luxury amenities for you and your group to enjoy throughout your stay. Our concierge can also help you determine which New Orleans museums you must see and even help you plan out your very own New Orleans museums itinerary. Even if you miss New Orleans Museums Month, La Galerie Hotel is in a prime location for you to visit The National WWII Museum, the Ogden Museum, and the Contemporary Arts Center any time. So what are you waiting for? Contact La Galerie Hotel with any questions, and our team is happy to provide you with any information you need. Call today at +1 504-592-7700 or send an email to lagaleriehotel@nolahotelgroup.com. La Galerie Hotel is located at 131 Decatur Street in the French Quarter.